What's happening and how do I fix it? Browse other questions tagged texniccenter or ask your own question. 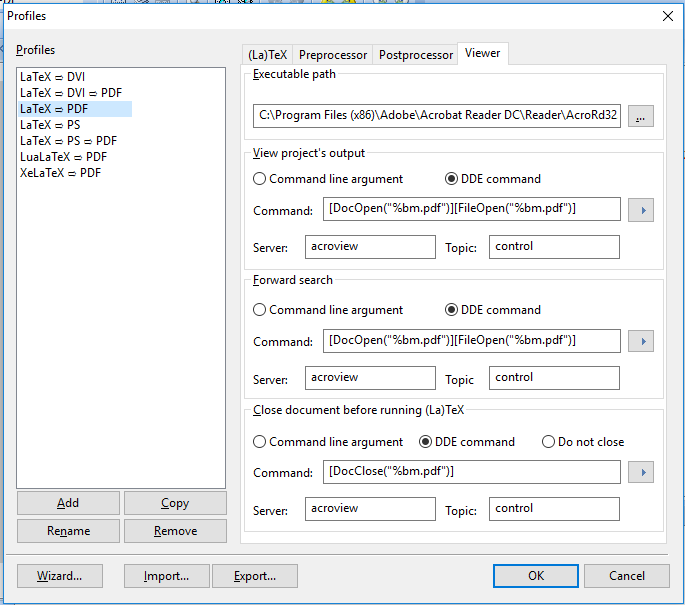 How to correctly configure TeXnicCenter to open PDF files with the Microsoft Windows Reader app? Is there a viewer command that will close only the current PDF document in TeXnicCenter?